High-precision immersion/penetration probe (Pt100) | Merülő és beszúró hőmérsékletmérők | Hőmérséklet | Paraméterek | Testo Kft. 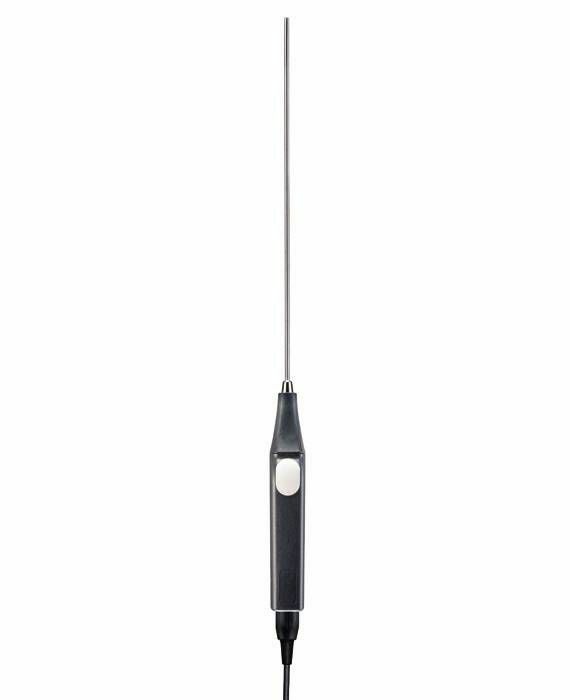 High-precision temperature measurements pose no problem for this immersion/penetration probe with Pt100 sensor. Combined with a suitable Testo temperature measuring instrument, such as the testo 735, its system accuracy is so high that the measurement system can also be used as a working standard. The probe is ideal for applications in quality assurance, for calibration services and in laboratories. 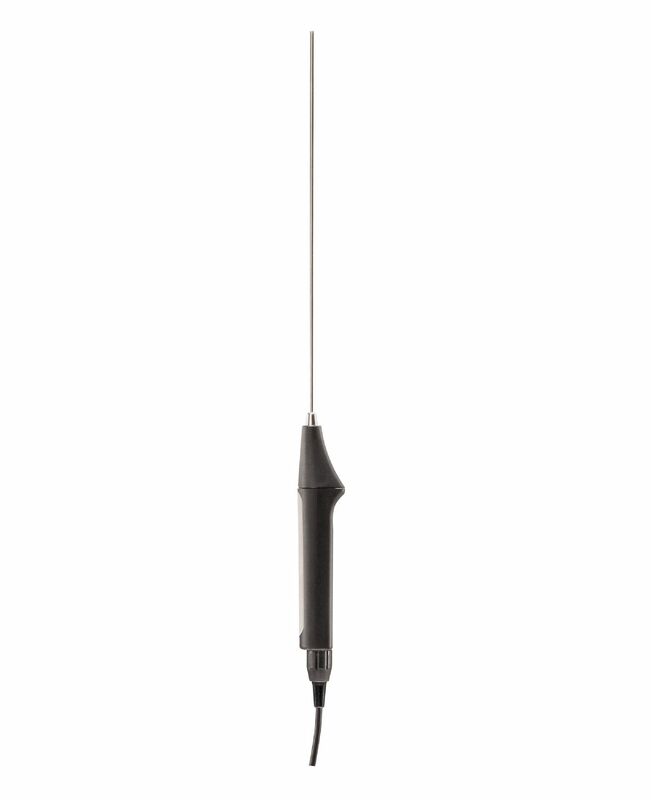 High-precision immersion/penetration probe (Pt100) with fixed cable including calibration protocol.